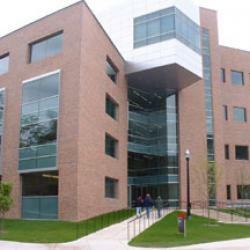 Dedicated in 2005, the Physics Research Building houses the laboratories and office space for the Department of Physics. Entering the building from either the north or south doors provides a majestic view of the four story open Atrium and the state-of-the-art Robert Smith Seminar Room. The Vernier Commons is a location often filled with students studying individually or in groups or taking some time to decompress. The adjoining patio provides a breath of fresh air to faculty, staff and students alike. Views of the open stairs and bridges between the laboratory and office sides of the building allow the viewer to witness interactions in the many spaces set aside for quiet study or lively debate. The building is home to over 50 faculty members, 60 postdocs/research scientists and nearly 200 graduate students along with the numerous undergraduate physics and engineering physics majors and the administrative and technical support staff needed to keep the building and research programs functioning. 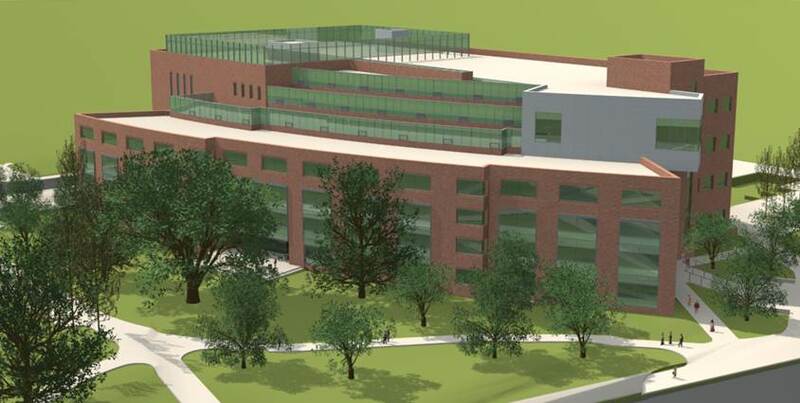 The West side of the building houses the research laboratories and some offices, while the East side is dedicated to faculty, staff and student offices as well as meeting rooms and interaction spaces. Natural light is available to all the offices whether on the outside of the building or facing the atrium through skylights and interior windows. WIndows abound even on the lab side on the exterior hallways, letting in natural light. 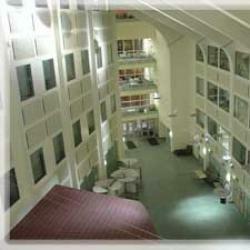 The Physics Research Buildilng provides a pleasant atmosphere for all who call it home. Come visit and tour this beautiful functional space where the frontiers of science are pushed back daily.